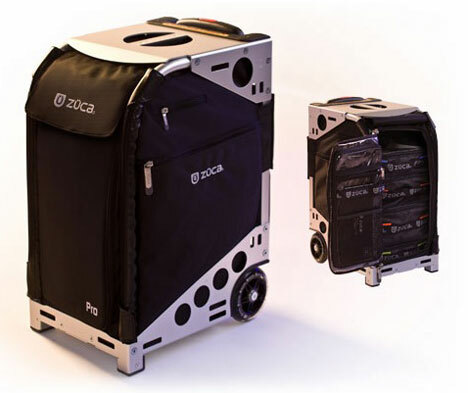 I am so excited, I contacted ZUCA bags...they are awesome, and they have a really cool backpack...the case is like a steel-case....the top part you or your client can sit on....and it has all these really cool padded color coated containers inside! I am waiting to see if we will be receiving one of these babies for a prize at the GLAMINARS!!! You can check them out at: www.zuca.com They sell these at the MAC pro stores,and you can have a chance at winning one at the GLAMINARS!!! hooray!!! I love these and can't wait to travel with mine! 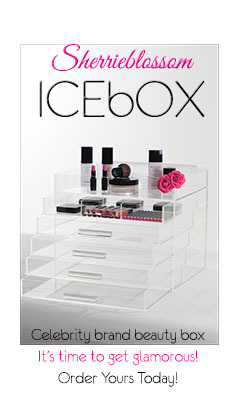 That is SO awesome, Kandee! Can't wait!!!!!!!! I have a big beauty so clean spray bottle and I love it. I know you can't see the germs, but I keep picturing those scary petrie dishes! I have recently gotten into your blog and style of makeup as a makeup artist and I think you are great! you have some awesome tutorials out there, im a huge fan of you lol I was wondering if in the future you could do a glaminar class in Connecticut (im from CT) or a surrounding area I'd really like to come to one! Can you email me back? I'd really love to hear from you:) thanks Jen! Kandee....You're the best !!! Thank you for putting in endless hours in making these GLAMINARS superb ! The goodie bag design looks fabulous and the ZUCA bags is to DIE FOR !!! I would love to get my hot little hands on one of those !!! Awesome JOB beautiful !!! I'm praying for ya...OMG...it's coming up soon...HOME STRETCH !!! 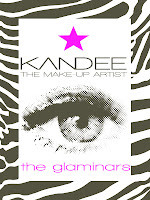 Kandee, I am sooo excited!!! Thank you so much for working hard on making this great for all of us! The bag design looks nice! The Zuca bag is soo great! I've been wanting one of those! I can't wait until next weekend! You've all made me a winner!!!!! !